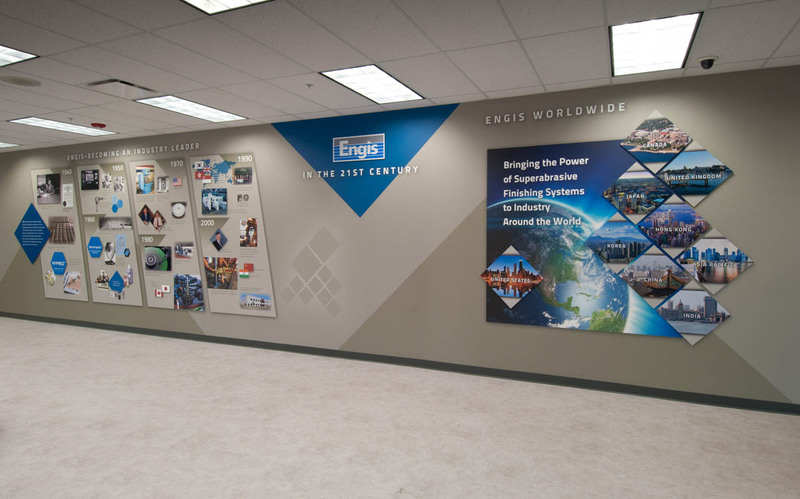 Friedman Fine Art is pleased to announce the recently designed and fabricated graphic program for the Engis Corporation in Wheeling, Illinois. 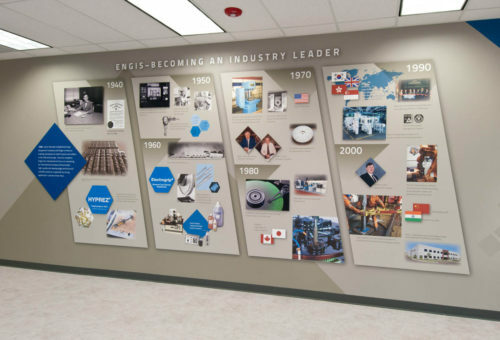 The project consists of a history wall along with a product and application wall. Illustrated below are various views of the 3 walls. 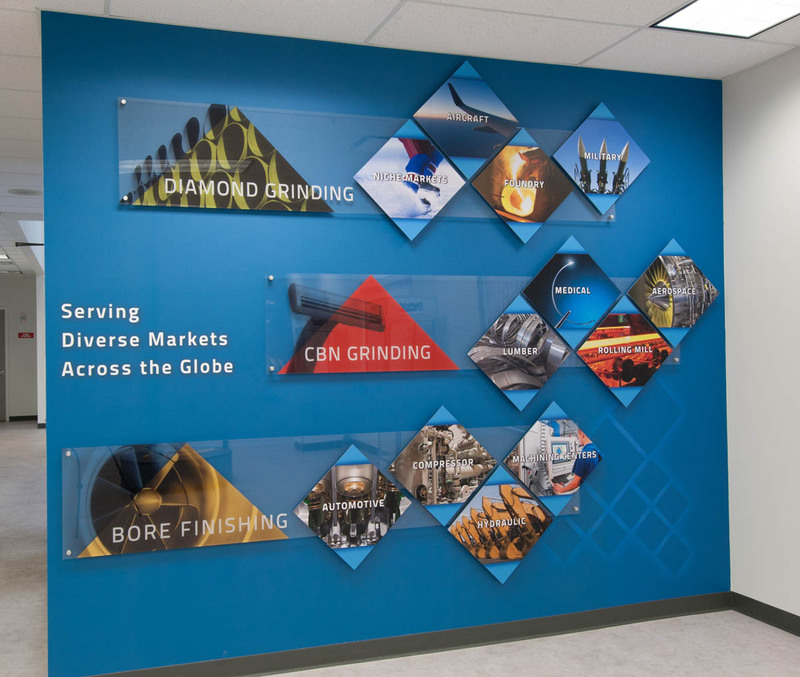 Friedman Fine Art specializes in the design, fabrication and installation of world class history/timeline walls, donor recognition walls, company product walls and graphic applications. Illustrated below are various views of the 5 walls. This wall shows both the application of Engis products and the diverse industries it serves. 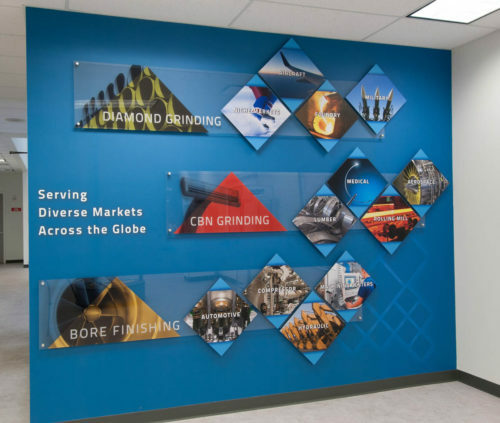 A technical/industrial feeling is created through the use of layered acrylic panels, hardware and custom printed wallpaper. reach. 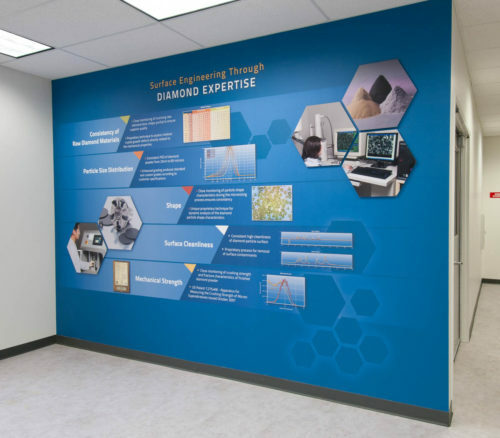 This wall consists of printed wall paper with dimensional acrylic elements and a spot for a future video display. 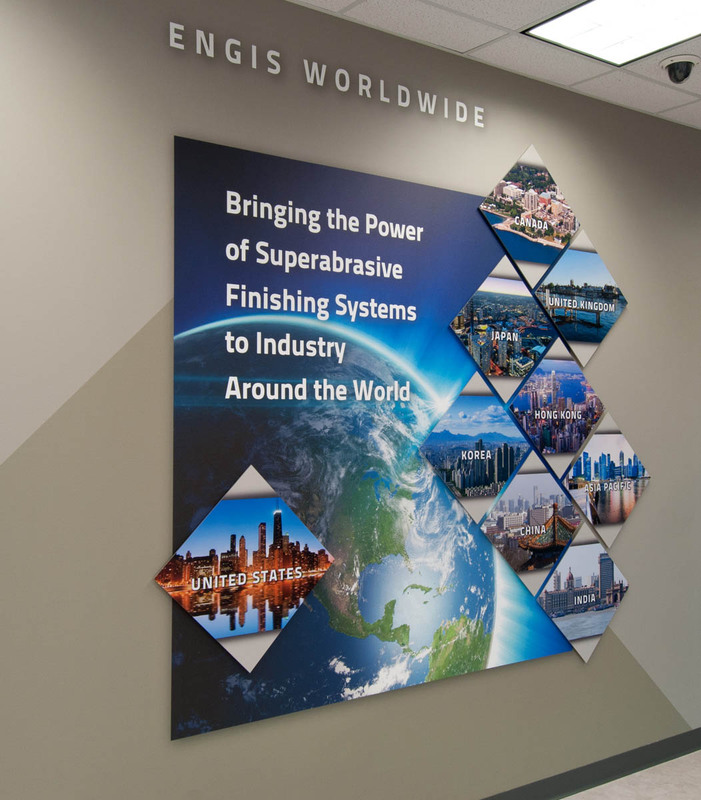 illustrating the nine countries Engis has manufacturing facilities. dimensional panels applied. The charts were redesigned to show their technical information in a more appealing visual layout.